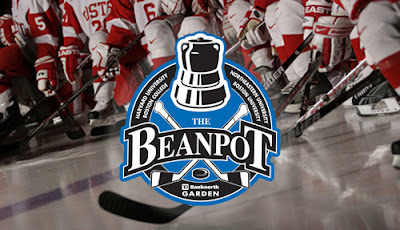 Terriers begin their quest for their 31st Beanpot Championship tonight at TD Garden, taking on defending champion Harvard in the 66th renewal of college hockey’s premier in-season tournament. BU lost to the Crimson in the title game last year after defeating BC in the opening round. Game time is set for 8 p.m. ET and the contest will air on NESN, TSN2 and TSN GO. BC and Northeastern face off in a 5 p.m. start. BU comes into the contest with a five-game winning streak and is unbeaten in its last seven games. A key to the Terriers surge has been a return by goalie Jake Oettinger to his freshman form and the scoring of Bobo Carpenter, Jordan Greenway, Shane Bowers and Dante Fabbro. Harvard, which is currently 23rd to BU’s 20th in the Pairwise rankings, defeated Dartmouth, 4-1, Friday after having been shut out by Cornell and Colgate the previous weekend. It’s offense is led by Ryan Donato--with 30 points and a best-in-the nation 21 goals—and Lewis Zerter-Gossage with 20 points. Goalie Merrick Madsen has a 2.20 GAA and a .921 save percentage. Donato, like BU’s Greenway, will join the U.S. Olympic team in South Korea following tonight’s semi-final. ► BU Alumni Association-sponsored Watch Parties are set for 16 cities in the U.S. and Canada. Details. 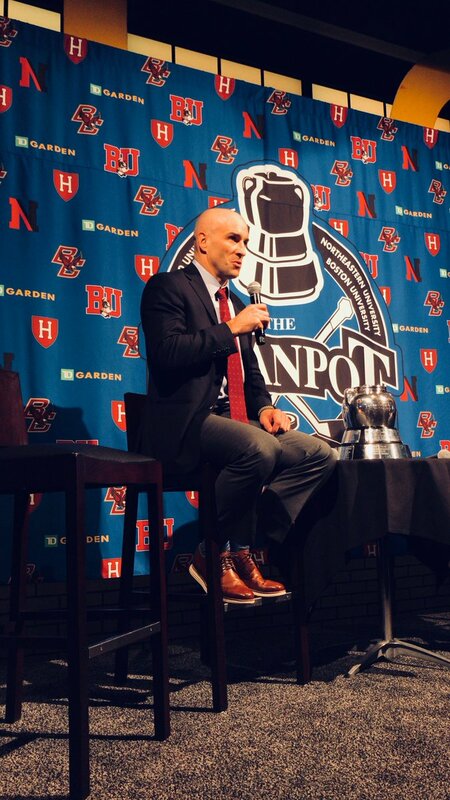 Former Terrier All-American, Olympian and two-time Stanley Cup champion Shawn McEachern will become the 16th Terrier inducted into the Beanpot Hall of Fame. Currently the head coach at The Rivers School, McEachern played on BU’s 1990 and 1991 Beanpot champions and is tied for ninth on the all-time scoring list (14 points) with former BU captain and current Penguins coach Mike Sullivan.